The Will Family spent Spring Break 2015 exploring the Talladega National Forest, a vast wilderness that encompasses nearly 400,000 acres of land. We rented a house in Waldo, a tiny town in Talladega County of just under 300 residents. The home was in a beautiful setting, nestled on the side of hill above a gently flowing stream. We live in Fairhope and our Jason Will Real Estate office is headquartered in nearby Daphne, AL. The distance from our office to the house we rented in Waldo was approximately 250 miles, which equates to roughly 4 hours of drive time. Waldo is just a few miles from the City of Talledega, where you will find lots of restaurants and a Super Wal-Mart for stocking up on groceries. We grabbed some good local barbecue on our first night and then prepared out own meals for the rest of our stay, from burgers to homemade pizzas. The property was surrounded by several acres of private land, so the kids could explore safely. The area itself is very attractive and is a great spot to go and unplug. In fact, if you have ATT&T cell service, expect to have signal issues. The other couple that stayed with us had service through Verizon and had great signal strength. One of our favorite parts of our trip was hiking in the Talladega National Forest. The trail we selected was about a 15 minute drive from our rental house. We made sandwiches for a picnic in the woods and brought plenty of water and juice boxes for the kiddos. We wanted to have the option for the kids to swim, so we chose a trail that had two waterfalls, that emptied into small swimming holes. All of which was within a 7 mile round-trip hike. Baldwin County Schools are typically let out for Spring Break the first full week of April and it was a hot day in early April for our long hike, with temps topping out at 87 degrees. Thus, it was nice to have a brisk swimming hole to cool off in. The kids could even safely jump off one section of rock adjacent to the waterfall, adding some extra excitement to their adventure. Below you will find some brief video footage I shot from my Samsung Galaxy Note 3 phone, which illustrates just a fraction of the beauty that we experienced on our hike. 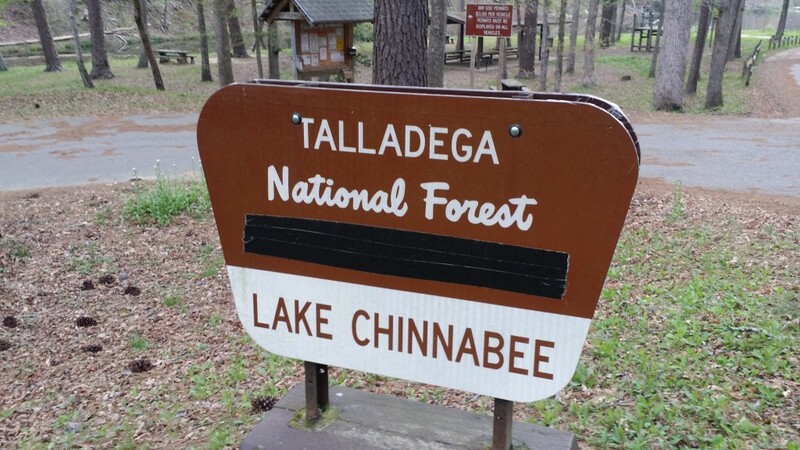 Talladega National Forest Hiking information provided by the Jason Will Real Estate Team located in Daphne, Alabama. You can reach Jason Will direct on his cell at 251-583-9728 or send him a personal email to jasonwill@southalabamaliving.com.